We are reckoned among the successful Manufacturers, Suppliers and Exporters of Spiral Binder (EP-20). The Spiral Binders offered by us are manufactured using the latest technology in compliance with set industrial norms. It is capable of punching 25 sheets at a time. Bulk orders of the Binders are processed by us as per the specific requirements of the buyers. One can obtain the Binder at competitive rates from us. 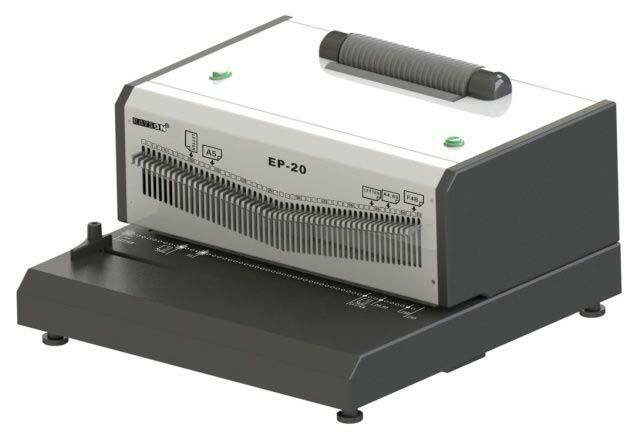 4:1 Punching up to 25 sheets per time Max. With 53 free blades for any paper size.